From creating convincing landing pages that capture more leads to running smarter email campaigns that better nurture new customers, LeadFox makes deploying your online strategy easy and automatic. LeadFox in the control center of your online marketing strategy. "Very simple but very complete Marketing Automation Tool"
The platform is very easy to use and it does not require any coding skills! You can build landing pages and forms very fast. The customization tool is very easy to use and makes pages that look and work great on any device. Their support team is great, they answer all of our questions very quickly and in a very friendly manner. I know Leafox is working on this but sometimes it can take up to 10 minutes to send an email in an automation and sometimes Gmail sends the email in the "promo" box. If you are looking for a complete and simple tool, Leadfox is the tool for you. We can now conduct marketing campaigns very quickly and without having to ask our web developers for forms or landing pages. Leadfox definetely helps to grow our exposure. "Lead Fox - Ambitious Platform with Great Potential"
I like the fact that LeadFox truly provides a basic all-in-one marketing automation platform. You can add tracking code to websites, create landing pages, run email marketing campaigns, based on triggers, and more, all from one platform. They also have a very well done intro tutorial to help new customers get set up quickly. For all of it's promise to me the UI/UX seems to be a little dated. Also, when I first tried the platform it didn't offer the breadth and depth on integrations I needed to truly bring it all the way into my marketing stack. This platform is definitely worth considering, especially if you're a web design agency or marketing agency looking to expand their offerings with a marketing automation suite that is robust yet affordable. As with other platforms, the biggest problem it solves is providing a centralized point to manage and automate your marketing activities. 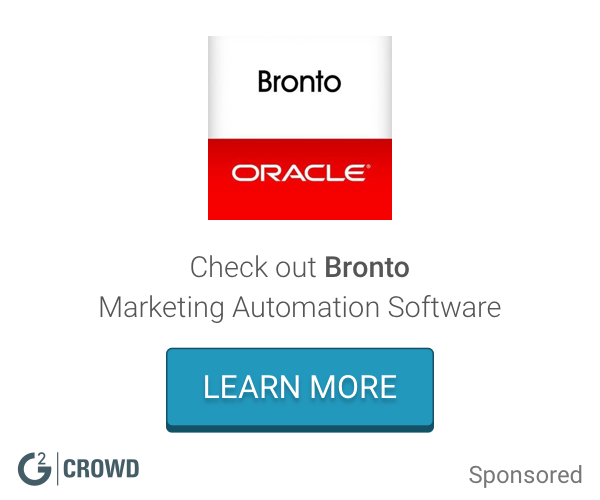 It can save you time and hassle, both with your own marketing and they have a great platform for agencies to offer clients marketing automation as well. "Simple to use, fantastic output, and with great customer service!" There are so many things to love about LeadFox, but the top-notch customer service has to be one of the largest positives that come along with this application. LeadFox experts are available on-demand at almost any time (I accidentally scheduled a virtual meeting on a holiday, and they even showed up to that! ), and they're extremely helpful. Any issues we've encountered have been solved in a matter of minutes. As the Marketing Manager at our company, my favourite functional element of LeadFox has to be the absolute simplicity in setting up campaigns and automations without jeopardizing the quality of the output. The landing pages and emails are entirely customizable and function similar to Photoshop, making design easy, flexible, and familiar for us. Giving all the power into our hands in terms of design and mobile responsiveness (so easy to do!) is amazing. Since LeadFox is a newer application, there are some functionalities that would be nice to have (but don't affect the quality of the application right now). Foldering for assets like images would be nice, for example. Sign up for the free trial and a free training/demo with the LeadFox team. You won't be disappointed. You really need to experience LeadFox to see how simple and powerful it really is. Coming into LeadFox from a different marketing automation application, we were expecting a similarly cumbersome and difficult to set up ecosystem; we were more than pleasantly surprised with LeadFox. We can create customized landing page designs without the aid of a programmer and set them as our templates, and it takes only a few clicks to set up a campaign and automation. We're still new to the platform at this point, but we're already reaping the benefits: our consumer-facing presence is much more professional looking, and the workflows are seamless. We're very happy we found LeadFox, and highly recommend it to any others looking for a flexible yet powerful marketing automation application. I like that it is possible to build our page on our own. It's easy to use so we don't need to hire an expert to work on the marketing. That I don't know how to use Leadfox at his full potential! If you want to be able to use it yourself without having to hire an expert to work on marketing and publicity, you should consider Leadfox. It allows us to understand and adapt our ads according to the public targeted. "Potential Marketing Automation Tool "
Leadfox is user savvy and customization is very simple. Its a unique marketing automation tool which covers all the features. Landing pages can be modified easily, It is the beat way to strategist the ABM campaigns. The only issue which I have encountered is at times emails get received in promotions box which they should work on. Leadfox will help the organisation in lead scoring and increasing the number of conversations. It will also improve the personalized emails and will take care of your inbox by auto emailing. We are able to deliver successful ABM campaigns which are result oriented. Overall Leadfox meets our marketing automation parameters. It also helps us to capture the potential prospects. They need to manage upgrades a bit better, but then those are growing pains. "I tested this as a demo "
I really like the layout of the platform, extremely user friendly, with a sleek design to help navigate. I wasn't able to utilize all it's capabilities, but that was more on my own resources. I think that this platform has potential for businesses who are looking to introduce marketing automation programs into their portfolio. Looking to gather and nurture more quantifiable leads. * We monitor all Leadfox reviews to prevent fraudulent reviews and keep review quality high. We do not post reviews by company employees or direct competitors. Validated reviews require the user to submit a screenshot of the product containing their user ID, in order to verify a user is an actual user of the product. Hi there! Are you looking to implement a solution like Leadfox?